Featuring reliable printing preference, motorized Z axis adjustment, user-friendly interface and touch screen control panel, JF-240UV UV Flatbed Printer accommodates CMYK colors, optional varnish and white color. Capable of working at 30cm tall objects, unit comes with ADA printing function and dual UV LED lamps. Suitable for paper, wall stickers, gifts, décors and packages applications, unit is designed with roll-to-roll and rotary system. GCC, a global forefront equipment-manufacturing provider in the visual-tech industry, is thrilled to launch the industrial-grade UV Flatbed Printer in July 2016. With dual lamps and 1L bulk ink system, JF-240UV is the best tool for short runs and on-demand printing. Inheriting the high quality of GCC products, the new GCC Flatbed UV Printer delivers high throughput, reliable printing preference, user-friendly interface, touch screen control panel and has a number of awesome creative features. 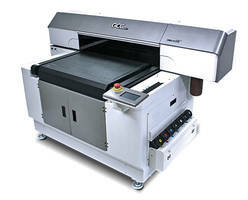 The GCC Flatbed UV Printer accommodates the standard four colors CMYK, and optional Varnish and White color that offer users outstanding printing quality. With the capability of working on a maximum of 30cm tall object as well as the pass through printing ability, the GCC JF-240UV Flatbed Printer eliminates the limitation of printing and ensures utmost printing possibility. Along with the optional roll-to-roll system and rotary system, users are allowed to work on a wide variety of applications: from flexible media, such as paper, wall stickers and heat transfer films to rigid materials, such as ceramic, glass, acrylic and foam boards. In addition to sign industry applications like signage and signboards, the GCC JF-240UV Flatbed Printer is dedicated to custom item applications, including promotional items, gifts, décors, stickers, packages, personalized products and much more to fulfill all your needs. With the specially-developed ADA printing technology, JF-240UV can produce ADA signs with one simple printing process. JF-240UV provides the best solution for ADA-compliant sign printing in a wide range of applications. JF-240UV prints raised patterns on whatever materials used to create virtual tactile sensation to make your message stand out in the crowd. Moreover, the high resolition printing ability delivers refined output - even 2pt small letters can be printed with high sharpness and definition in sophiscated details to serve a diversity of applications. The color varnish function is an excellent tool for color customization which fully exhibits the highlighted effects and practical value of the combination of varnish and patterns on printed matters; furthermore, the varnish solution not only enhances the visual quality but also creates the tactile attribute of graphics, which lifts the added value of products and presents eye-catching printing effect. Four white ink printing modes accommodate the majority of applications and deliver vibrant colors on commonly used materials as well as dark and transparent media. Specially designed for UV printing, the dedicated printheads offer outstanding throughput and guarantee printing quality. JF-240UV achieves 5.78m²/h printing speed--the best performance in the same category you can find in the market. 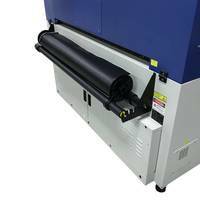 The GCC JF-240UV flatbed printer is equipped with dual UV LED lamps to reach high throughput, energy saving and environmental protection goals. 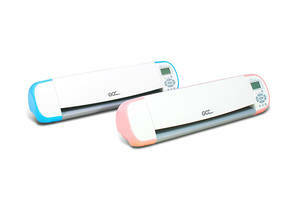 Customers can print on heat-sensitive materials such as BOPP and PET films. SmartMESH™ is a unique function designed by GCC which applies complex algorithm to ink jetting patterns control to create unparalleled graphic designs. With SmartMESH™ each pass printing is calculated in order to produce patterns with supreme quality, satisfying color saturation, smooth tonal gradation and exceptional color gamut. The advanced SmartMESH™ technology effectively solves banding issues and greatly improves image quality. 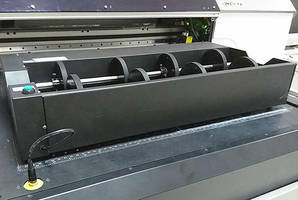 AMC™gauges the distance between the print heads so the loaded media can be automatically detected and adjusted to the optimized position based on the thickness of the loaded media. Printhead Gap Auto- Adjustment lowers the platform automatically when detecting obstacles that block the movement of printhead before printing to avoid printhead damages. 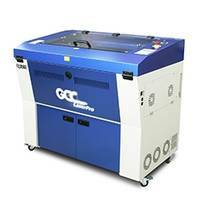 GCC, a global leader in professional large format UV curable inkjet printer, laser engraving/cutting/marking systems, vinyl cutting equipment, provides businesses, governments, and consumers with innovative and reliable solutions. Headquartered in Taipei, Taiwan, GCC has branch offices in Walnut, CA and Capelle a/d IJssel, Netherlands. With over 100 current and pending worldwide product patents and trademarks, GCC has earned a worldwide reputation for innovation, quality and reliability in the awards & recognition, sign, personalization and manufacturing industries.